Selecting which banking method is right for you should be a major consideration when you sign up for an online casino in Canada. You want something that’s fast, secure and easy to use, and InstaDebit iDebit (formerly known as just InstaDebit) could be the answer. Is iDebit safe to use at online casinos? 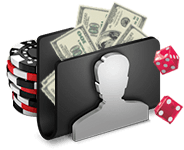 How Does InstaDebit Casino Online Deposits Work? Do you remember the good old days of writing checks? Many of us still write them today, even with online banking and eTransfers being so popular. InstaDebit is a lot like writing a check. In fact, you can think of InstaDebit as a digital check. 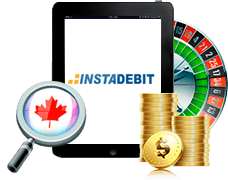 To get started with InstaDebit at a Canadian online casino, you need an InstaDebit account. Once your real money account is set up, you simply load your InstaDebit by transferring the CA funds from your Canadian online bank account to your InstaDebit e-wallet. Everything is handled from your InstaDebit account, so you don't have to log in to your Canuck online bank each time you want to make a gaming transfer. Sounds Good. What Are the Advantages Of Using InstaDebit For Online Casinos? Internet identity fraud is a huge problem. It seems like there are scammers all over the world trying to get their hands on your personal information. You've probably received scam emails from people trying to trick you into revealing your personal details. Those are always annoying, but it's the stuff that goes on behind the scenes that's really scary. Every time you hand over your personal and financial information to sites, it gets stored on their servers. If you hand over your bank account details to a number of different web casinos that means your information is in the hands of all kinds of people; folks you don't even know. With InstaDebit, however, your bank account details aren't handed out to anyone. The CA casino online you choose to play at on the net will never see your info, so you can feel safe while you play for cash. InstaDebit works with your Canadian checking account, not with your credit card company. Some e-wallets let you use your credit card to make a payment to your account, but with InstaDebit you'll need to make sure your checking account is loaded with enough cash before trying to initiate a deposit. If you're between paydays and you're not interested in waiting to play betting games like roulette or video slot machines, InstaDebit might not be the right choice for you. What's more, if you keep your money split between two different Canadian checking account, InstaDebit might also not be for you. The service only allows you to associate one checking account with your InstaDebit account. How do I Keep My Info Secure? InstaDebit takes your security really seriously. In fact, when you sign up, they verify your date of birth and your Social Insurance Number to make sure everything checks out. They also employ 128-bit encryption technology to make sure every gaming transaction is perfectly secure. 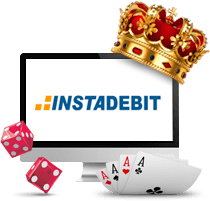 Not all gambling websites accept InstaDebit as a payment method. In fact, the tight restrictions can put players in Canada off. But if InstaDebit has got you interested in finding places to gamble on the web, check out our pages. We have found the top online caisno sites accepting InstaDebit payments. We also test and compare a bunch of sites to find out who has the best software, games and security. So, check our reviews and links and see why our comparisons are rated higher than everyone else's. We'll even find you an exclusive real money welcome bonus to use today as a trusted Canadian gambling online fan. Remember, each site that we recommend lets you try out casino games like slots for free, so feel free to take each one for a spin. Hopefully we’ve answered many of your iDebit questions in the content above, but we’re not done yet. Here’s some more key information you’ll be glad to know if you’re seriously considering iDebit as a banking option for online casino play. To get things rolling you’ll need to sign up for an Instadebit iDebit account at their official website. The next step is to link a bank account (or several) to your iDebit account so that funds can be passed directly in and out at your request. From there on, all you’ll need to make and receive funds at online casinos is the login information you have for iDebit. You won’t need to enter card details or bank details, as iDebit will do that part for you. Yes they do. If you choose from the list of iDebit-friendly casino sites above, you’ll be able to deposit and withdraw funds using the method. It’s a great way of staying safe online and it’s fast too. How does Instadebit compare to other options? Instadebit iDebit is one of many e-banking solutions on the market right now, but stands out as it comes with a proven track record of delivering smooth and secure banking. It’s also approved at some of the best online casinos available to those in Canada, so presents as an option you can use to fit your other requirements too. The biggest reason to use Instadebit iDebit is the security you’re afforded. They guard your bank details tightly, so all you’ll ever need to process banking requests at a casino is your login information. This provides a welcome barrier between the casino player and his or her key banking information. You also have the added benefit of staying to your budget and avoiding the temptation to get into debt that comes with using a credit card. Very fast is the answer. 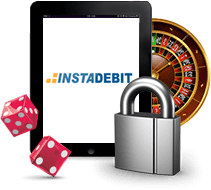 Casino deposits made with Instadebit iDebit will show up instantly in your account. Withdrawal speed is always dependent on the casino’s processes, and you should expect a delay as they validate all the details, but anything from 3-7 days is typical when you take funds out. It’s completely free to set up an account, but you will be charged C$1.50 CAD every time you make a deposit to your online casino account that draws on your bank account. If the funds are already in your iDebit account, however, there is no fee due. A charge of C$2 CAD is payable every time you move funds from your iDebit account to your bank account. No fee will be charged for simply moving funds from your online casino account to you iDebit balance. Online casino winnings will initially be paid into your registered casino account. From there you can withdraw monies using iDebit, but be prepared for a delay as the casino validates the transaction. Expect a 3-7 day wait to get the funds released into your iDebit account, at which point you can either hold them there, or move them again to a bank account of your choosing.